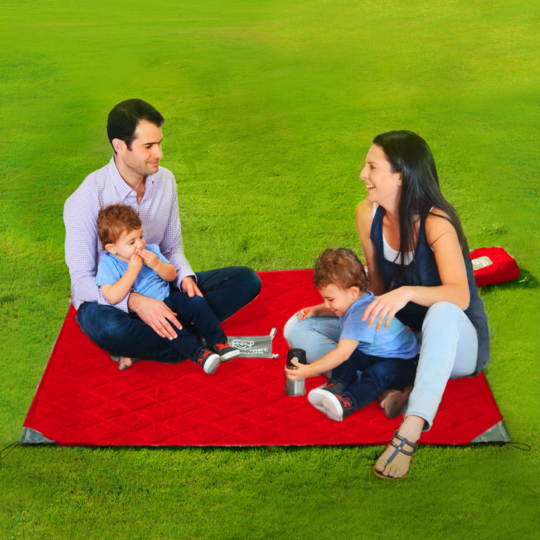 The NEW Quilted Monkey Mat is your cushy, portable mat for in/outdoor use that can go everywhere! Luxurious yet affordable and with lots of fun features, you can enjoy the waterproof base, central loops for attaching items, spill resistant top, weighted corners, loops for stakes, and the attached ultra-compact pouch to take everywhere! 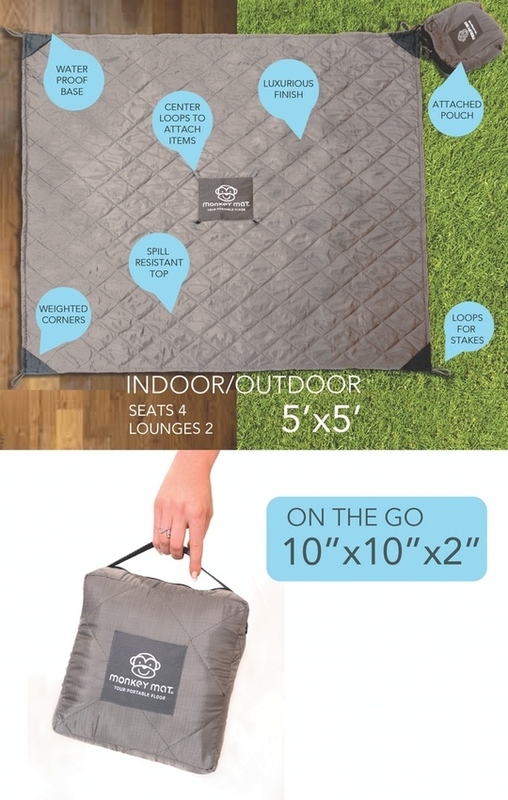 Perfect for park, beach, dirty floors, concerts, picnics, sporting events, camping, and more. No more bulky blankets! So go ahead - Make your space, any place!